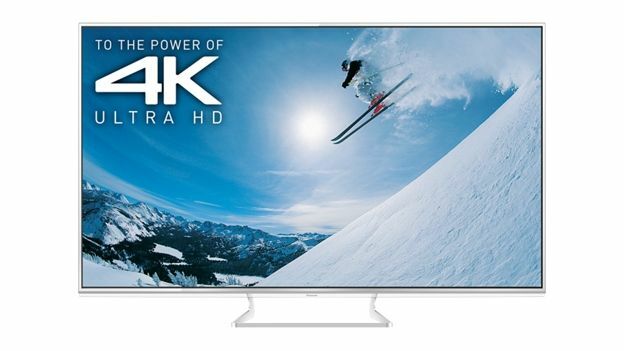 Panasonic has taken the wraps off its latest 4K television at IFA in Berlin. The Viera WT600 is the first television that incorporates the HDMI 2.0 specification. It is a 65-inch set and comes with a 3840 by 2160 pixel display. The WT600 is also THX certified and outputs content at 120fps in 4K. The inclusion of the new HDMI standard means it the new set will be able to accept a 4K 60fps input from devices such as Blu-ray players and next generation games consoles. Alongside the HDMI 2.0 ports, it also comes with a HTML5 browser and H.264 decoder. That means that the television will be able to play content from USB memory sticks and always be compatible. In addition to the internet access, it comes with Wi-Fi connectivity meaning you won't need to run ethernet cables up to the set to update it. The Wi-Fi connectivity also means that you can access content on your home media server thanks to DLNA compatibility. The WT600 also has a built in camera for Skype chats. It is available for pre-order with the first sets expected to ship in the middle of October. No UK pricing has been announced, but it will retail in the US for $5999.99 (£3,840).